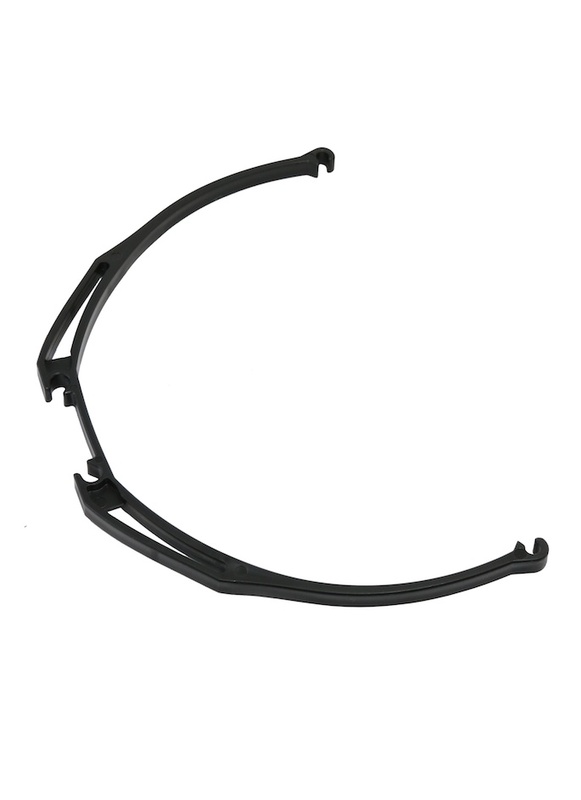 'Crab' style landing gears are widely used in quadcopter and multirotor kits to form a lightweight and effective undercarriage. They provide plenty of ground clearance ~200m and a wide field of view should you mount a camera below. This replacement leg is manufactured from tough but flexible plastic and it's designed to fit mount rails with a 10mm diameter and skid tubes with an 8mm diameter - both sold separately, as is the complete carbon fibre landing kit. Three colour options: Black, Red, Yellow. Please note tubes should be slide into place and no attempt to clip them into place should be made - doing so may cause it to break.